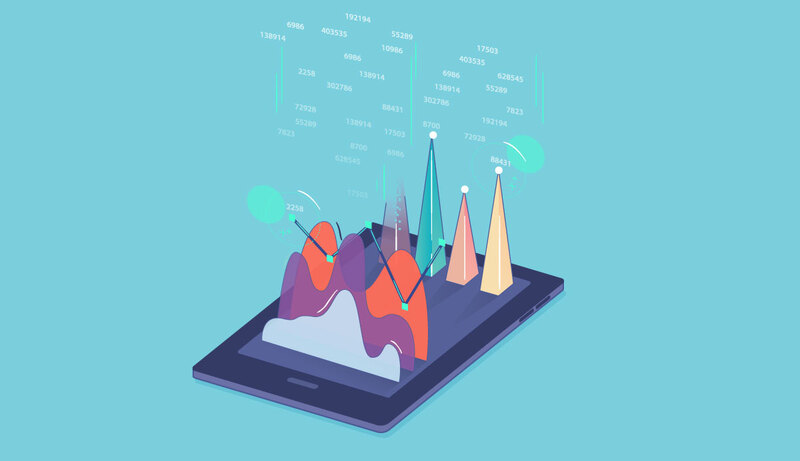 Technically speaking, data visualization encompasses all things data art, infographics, and data dashboards. The range of creativity truly is endless, and we are excited to see how it will keep progressing. What has happened over the last few years is that data and data analysis have taken on a new quality. Data and information is now a tool for creating beautiful visuals. 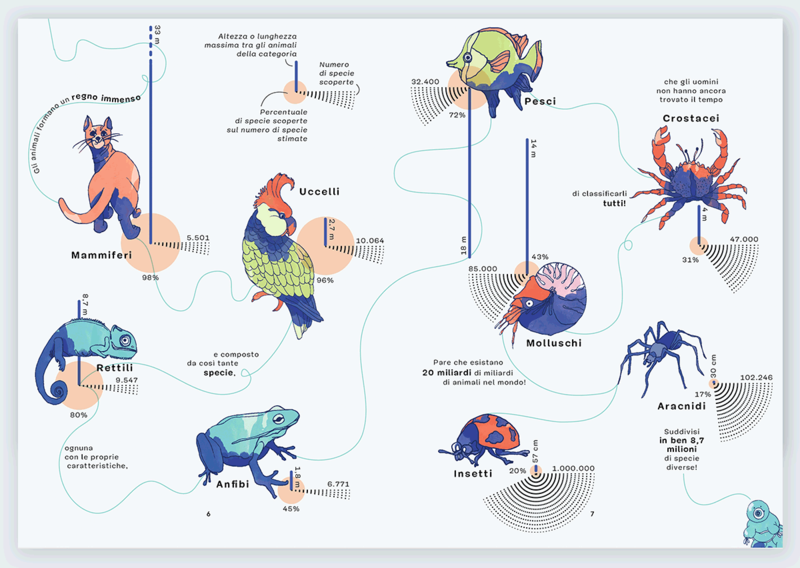 What used to be simple charts and scatter plots are now complex and creative pieces of data art—some beautiful enough to hang up on your wall. 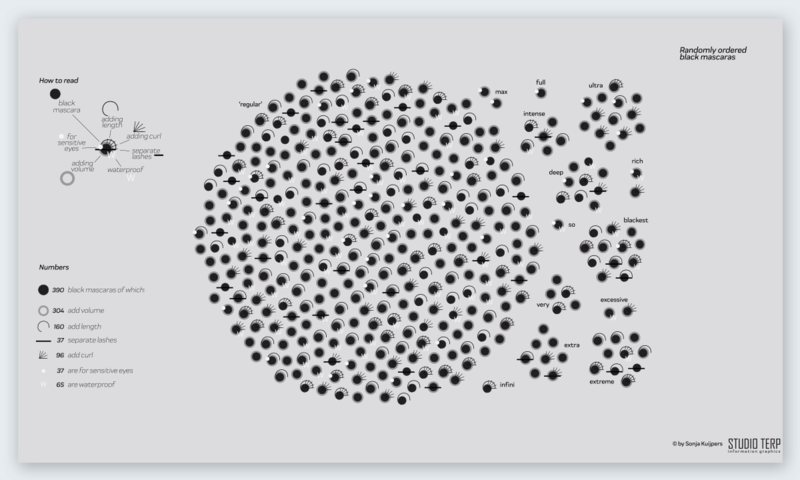 View each visualization by clicking on the source link to the right of the image. This data visualization by Adam McCann visualizes every single song ever recorded by Bruce Springsteen. Using data from Spotify and other written sources, he was able to plot every single aspect of every song. The albums and songs are organized by rank in popularity. Each design detail represents an aspect of the album. The theme is reminiscent of plants with seeds, leaves, and flowers. It includes a How to read popup for easier understanding. The Hello Sun app created by Small Multiples, is a live data viz for your phone. The main dashboard visualizes the movement of the sun and moon in the sky in numerous cities in the world. 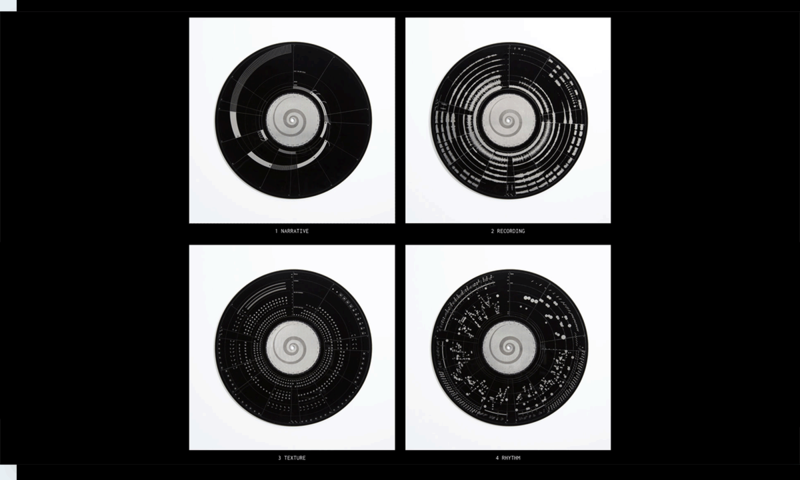 The movement is depicted in circular sky maps that change color as the sun rises and sets. Each city is illustrated by a major landmark which is only seen when the sun creates a shadow of it. The app also lets the user know how sun behaves anywhere in the world through GPS coordinates. That way they can plan out a veggie garden or know if the apartment they want to rent will have sun in the afternoon. Sonja Kuijpers from Studio Terp couldn’t pick what mascara she wanted to buy at the makeup store. In order to make a decision, she relied on data and her creative talent. Her visualization about mascara visualizes data from one online makeup store in The Netherlands. The data shows the color of each mascara and what its special characteristics are; lash separation, giving volume or length, and waterproof capabilities. With this data analysis she was able to figure out just which mascara she needed. 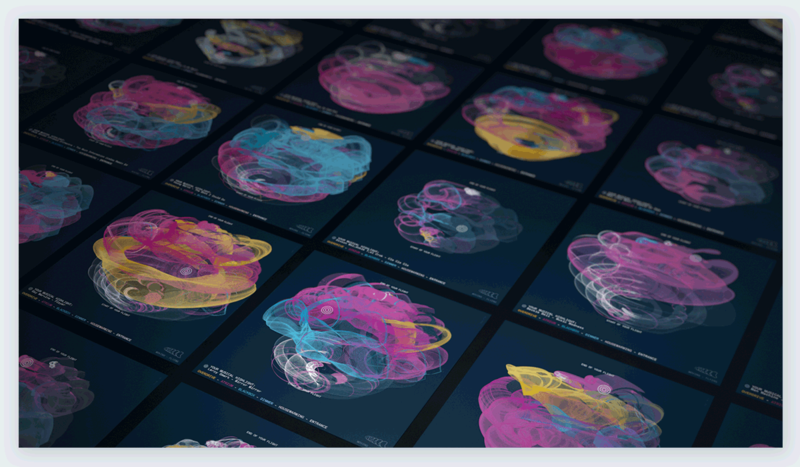 Creating beautiful data art in the process. Want to create your own side-by-side visual comparison? 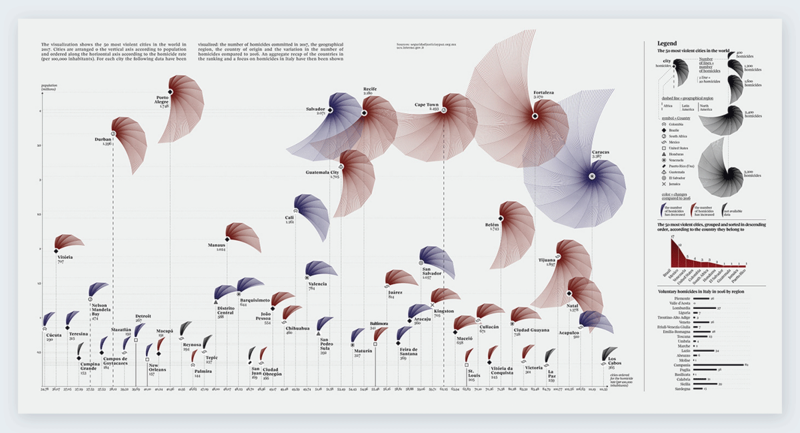 This is another great data visualization by designer James Round. This time he concentrated on data about about a hundred years of extinct species. The purpose was to analyze how they became extinct, when, why. Maybe with this data analysis we can learn how to save endangered animals in the future. 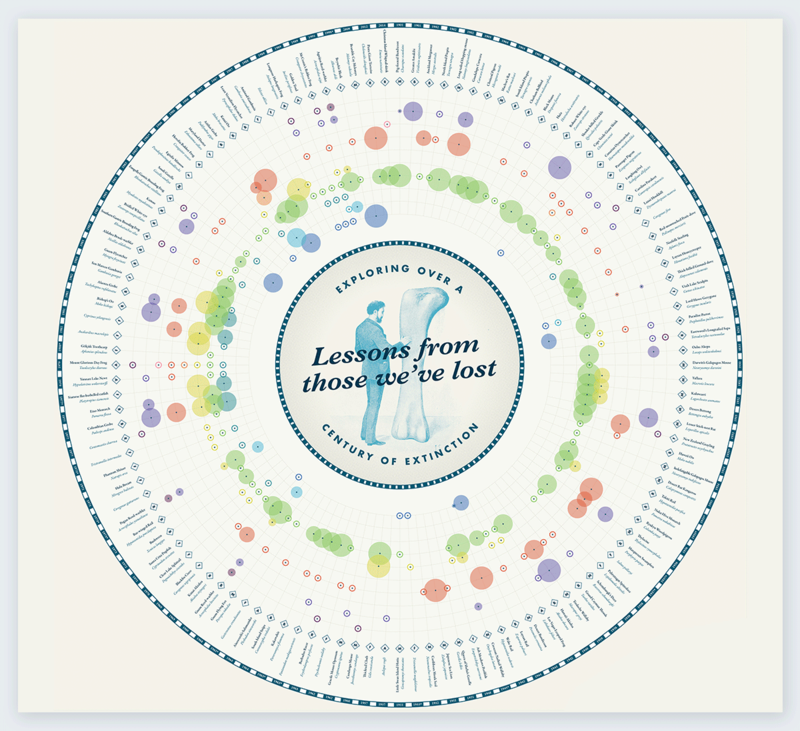 When most music based data visualizations are about set of albums and songs, or about an entire era, Oddity Viz is about one song. 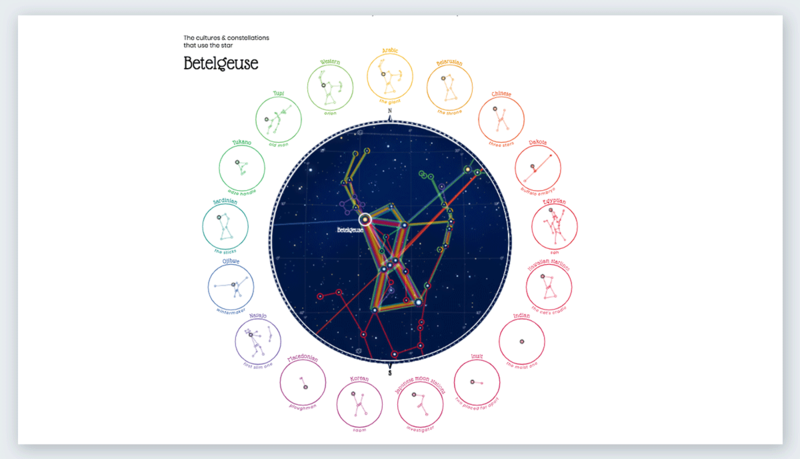 Valentina D’Efilippo and Miriam Quick extensively anazalyzed the David Bowie song, Space Oddity, to create this beautiful set of data visualizations. The series is made up of ten engraved records, each depicting one aspect of the song; harmonies, melodies, lyrics, and more. 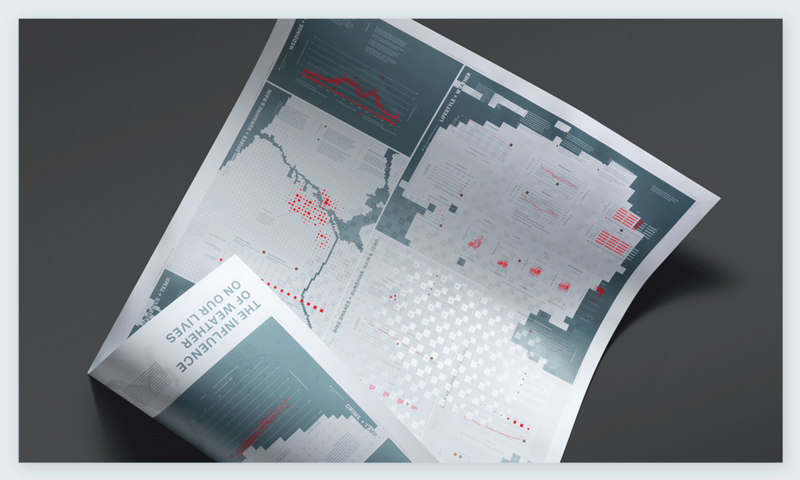 Each record is accompanied by a poster and key on how to read the data viz. 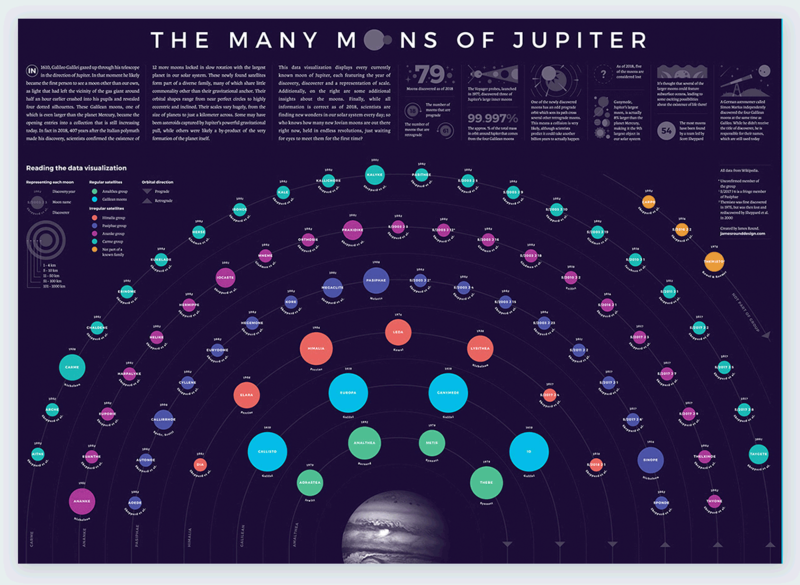 Want to create your own eye-catching infographics? 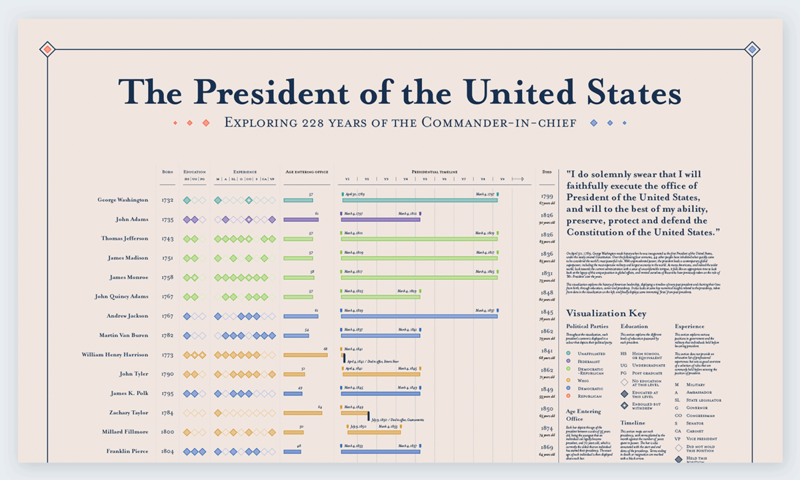 The data team at Axios created this data viz with data from the U.S. military's Joint Space Operations Center. 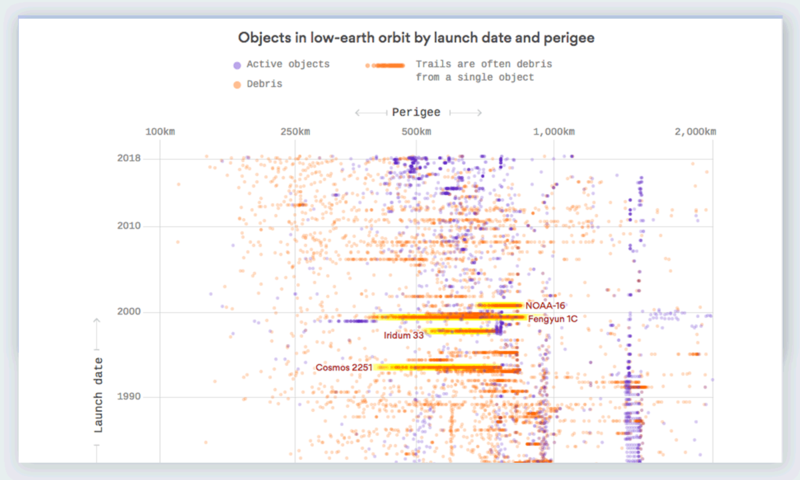 According to their data, there are over 13,000 singular pieces of space junk floating around in low Earth orbit. Even though the data is staggering, they know that it’s not complete, since a lot of the junk doesn’t register in satellites due to size and other factors. The Joint Space Operations Center hopes to get more information about other pieces of space debris so that everyone involved in space exploration is informed about the dangers of space junk. Personal data viz projects created by professional data artists are usually extremely creative. 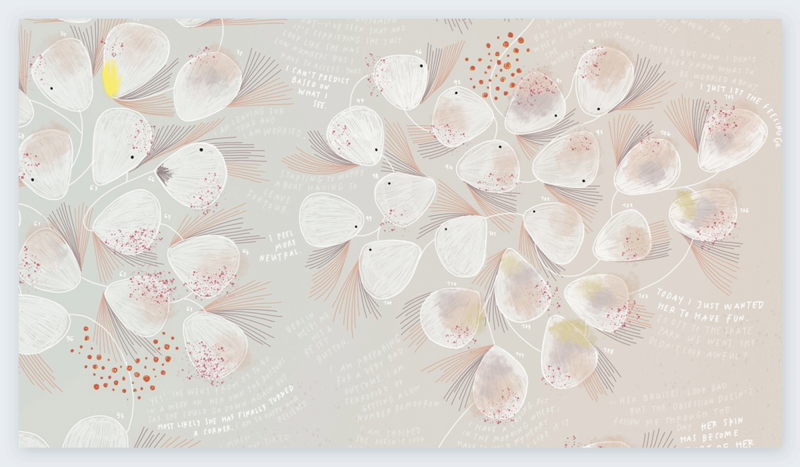 This one by Nadieh Bremer is a data visualization about the Japanese Manga series Cardcaptor Sakura. 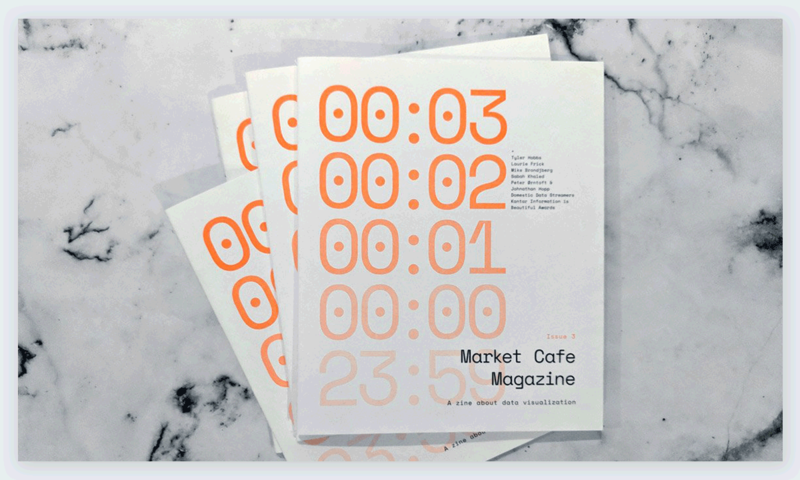 The design is colorful, fun, entertaining, and of course full of data. Best of all, it’s also interactive. We caught this data visualization in mid build. Not sure if the data artist will be creating a full spectrum project out of it or not but in the meantime we love seeing his coral cities popping up on Twitter. Craig Taylor used the data from the 10 Most Liveable Cities index along with a city map tool, to create these visualizations that look like corals. Have you seen any data visualizations created this year that should be included in this list? Do you create data visualizations and would like us to have a look at it? Leave us a note in the comments section! Thanks Henri! Which one was your favorite? Awesome animation and I love that it was put to music! Which one do you mean exactly? We love these all so much. Que bueno que te gustaron. Cual es tu favorito? This is a really Helpful post for me.. Thanks for Sharing..All there visualizations are excellent.